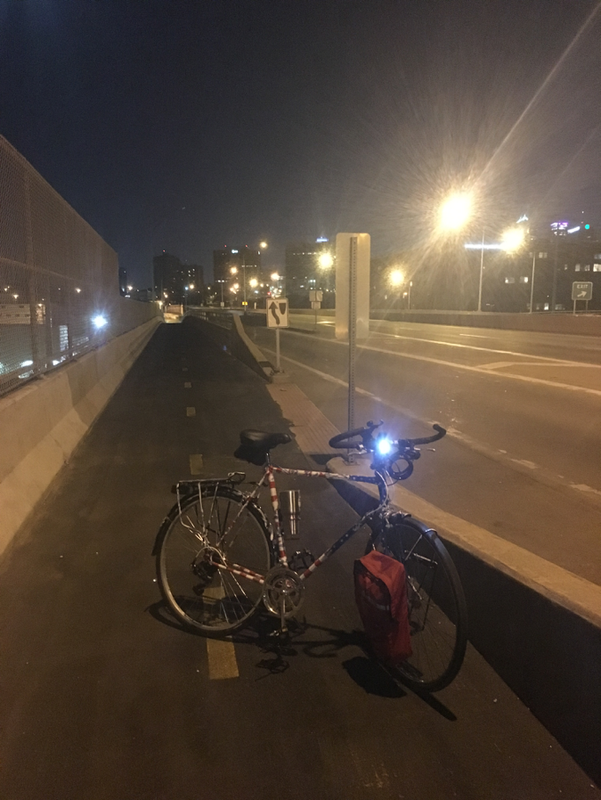 Guest Post: Shawn Lee, a Kansas City-based attorney and US Army Combat Veteran with a love for the outdoors, shares his experience exploring Kansas City via bicycle on a typical Saturday. In a world where connecting with community and place seems increasingly difficult, this account provides insight into what it means to explore these elements of life in the concrete jungle of Kansas City, Missouri. Until recently (the last few hundred years), community and place were central themes of life itself - but now, it takes effort and intentionality to connect with these elements of life on a deeper level as other demands in modern life pull us away. Outdoor activities, in general, are a great way to make these vital connections, and Shawn's account helps demonstrate this reality. Finally, Shawn is also an advocate of Exploring Roots, who is currently preparing for a 340 mile adventure where he will paddle from KC to Saint Louis along the Missouri River with teammate and fellow veteran, Jacob Kirn, to raise funds and awareness for Exploring Roots' programs to support urban under-resourced youths. You can donate to those efforts by clicking here. My last Saturday was free and I had options. So I decided to load up my bike with some reading materials and a thermos in order to tour Kansas City. My introduction to cycling started here with Ride 2 Recovery, an organization taking wounded and disabled vets on multi-state bicycle challenges. They build bikes customized for whatever you had left. An important task for a war known for multiple amputations. The bars in the photo here are for pushing people without legs up big hills. I had both my legs so I was routinely on the left to help push others along. These journeys seemed to provide powerful healing opportunities for a group of people struggling to make sense of their experiences in combat. Hundreds of miles, exercise, sun, time to think, and a community of people to begin socializing with again. The socializing was probably the hardest and yet most important part of this brand of healing because it’s far too easy to drift off into the comfort of isolation. I’ve had carbon fiber racing bikes and tri bikes but my current bike is an 40 year old steel frame road bike I bought off Craigslist for $45 while I was in law school. I immediately stripped it all down and painted it red white and blue stars and stripes. However, the ride across the state on the Katy Trail a few years ago left a few dings on the paint, so I just threw random paint all over it as sort of an anti-theft tool. Back in college I would do the work myself but this year Zeke at Velo Garage got it rolling right along for me. Saturday, I didn’t have much of a plan, except to see Art in the Park in North Kansas City and tour neighborhoods I’d never toured by bike before. I ran into North KC City Councilwoman, Anita, and her family on the way to the art festival. It was getting warm out and they were headed in after a long day. We talked beekeeping for a bit (a hobby of mine) and then it was on to the art festival. The wind was blowing hard this morning, making me put forth a little extra effort. I had to pedal downhill which is not how gravity is supposed to work when you’re riding a bicycle. At Art in the Park, I met Linda who makes custom electric guitars out of cigar boxes. A brief and sincere struggle took place in my mind. On the one hand, I don’t need an electric guitar made from a Gunslinger guitar box and I can’t justify the purchase. On the other hand, I absolutely need a custom electric guitar made from a Gunslinger cigar box and I could completely justify spending the money on it. I’ve never ridden down in the West Bottoms so I cut through downtown and turned right on 12th street to go down one massive hill from the top of the city to the bottom of it. It’s fast and there is fast traffic going down it. I felt just a slight twinge of concern. The old steel rims can heat up when you put the brakes to them for a while and I didn’t want a flat tire while going 40 mph down this massive road. I just let it fly till the bottom and made a turn toward Stockyard Brewery letting the wind cool the rims. Time for a break, so I stop to check out a few places. Outside of Rockstar Burgers, I happen run into that bachelorette party and got a photo with the bride. What a rowdy bunch. Hoping for the best for their marriage! I head into Stockyard and grab a seat. Haylee, a Stockyard employee and a couple of female customers started talking about it being their 10th time watching the Office straight through. My daughter is an Office fanatic so I asked them if they knew the fan theory that Tobey was the Scranton Strangler. They were in wide-eyed disbelief. I laid out his past history with the trial and how he felt like he convicted an innocent person; then I pointed out his dark sense of humor and the lack of backlash for all the trouble Michael Scott gives him. They refused to believe. "Not Tobey. He’s too nice," they think. I bet they’re debating it this morning. I was leaving when a vehicle pulled up and an elderly woman got out. I helped her inside and she told me today was her and her husband’s 68th wedding anniversary. So I sat down with Bill and Maryann and they bought me an Anniversary Ale. They met in the fifth grade but didn’t date until they’d known each other for a number of years because Maryann always had boyfriends. Bill was the last one. After school, he joined the military and became an officer overseeing the operation of nuclear weapons in Europe and he was also served in Korea. His brother fought in World War II and was one of the first casualties of the Battle of the Bulge. I let him know I was with the 101st Airborne Division and knew all about the history of the Battle of the Bulge. They called my brigade the Bastogne Bulldogs for the fierce defense they put up to the German attack and I wondered if his brother and I might have served in the same regiment. Bill told me the first time they came to this bar was over 50 years ago when it was called the Golden Ox. He said it hadn’t changed much in the last 50 years and you could tell from the heavy doors and the vintage feeling of the place that it is in fact a well preserved relic. We said our goodbyes and it was on to the next place. Rockstar burgers stood right across the street and I ordered their namesake, the Rockstar Burger. This massive thing had to have been at least 2000 calories, each one of them tantalizingly delicious. Didn’t catch the names or story from the staff, but I did overhear a conversation about how apparently a pair of mystery leather pants were left at the bar the other night and they were trying to figure out whose they were. Guess they have some real parties down there since people are losing leather pants without anyone noticing. Saddled back up and came up the on-ramp for 670. Boy, was that a long hill and I was glad my bike had a custom granny gear for just such an occasion. The trick for cycling is to use solid technique. Most people just push down on each side given the amateur bikes everyone grew up with. Adding toe covers or clips lets you have way more power because you use your full leg. Pull up with your leg on the one side and put your whole foot into the motion. Also, FYI... cycling equals leg day and it works. I can’t make my mind up between Westport, Crossroads or the Plaza so I first head toward Crossroads. First Fridays have been a favorite of mine due to the variety of music, food, and art since moving to town but tonight it’s the typical bar scene so I move on. I ride on south past the World War I Memorial and head into the Westport area, but decide to keep going. Now, it was decision time... If I turned back I could spend the evening close to home at my usual place, Velo, or I could head further south and decide between the Plaza and whatever is happening at Woodside. I chose south. Got to Woodside Gym and saw this was a little more glamorous than I’m prepared for. Lots of summer dresses, spray tans, yoga bodies and cocktails surrounding a fairly beautiful pool. I’m wearing an old gym t-shirt, a swimsuit, and just rode a bicycle for about fifteen miles on a hot summer day. I could be underdressed but then again they could all be over dressed. One never knows. I mingle with friends for a little bit until my patience finally pays off and everyone starts jumping in the pool. I, of course, get behind this flagrant disregard for polite entertainment and we immediately turn the trendy floating lights into beach balls to throw around. My friends move onto Westport while I’m enjoying what has turned into a pool party. After a while, I decide the adventure has been fun enough and it’s time to head home. Started riding past the entrance and saw two women waiting for an Uber. Chivalry isn’t dead, so I said, “Ladies I have a rack on the front and a rack on the back. Just hop on and I’ll get you wherever you need to go.” For some strange reason they politely declined. I suppose the America bike can overwhelm some with a little too much freedom. Riding at night is a treasure. The streets are absolutely empty and the temperature is cool. Some people sit out on their patios carrying on but for the most part the whole city is asleep. I enjoy the buildings west of downtown. Lots of quaint little brick homes mixed with various artistic stylings of what little yard they have. The bridge overlooks the muddy Missouri River as it churns its way toward St. Louis. I pause to look down at the water, knowing within fifty days I will be paddling a canoe in that darkness. Half of this trip has been a visit to the various areas I’d consider owning a home. Learning the vibes of the different communities. Feeling out what the neighbors like to do for fun. Feeling the roads to decide if they are bike safe for regular rides. Even gauging the amount of sunlight and space for an apiary and a garden. In short I tried to figure out what area felt like home so I’d know where to put some roots. 30 miles, 12 hours, 5 stops and a few stories later I arrive home. I find in life you become whatever you expose yourself to and you find whatever it is you go looking for. I didn’t set out with a destination today, but I found everything I was looking for. I got some sun, a solid workout, a beautiful view of the surrounding plains from the city of fountains, a 10 mph tour of some historic neighborhoods with potential homes, a feeling for the types of people in the different communities, and a muddy reminder of the Missouri River 340. Note: Shawn will be paddling 340 miles on the Missouri River to raise funds to support urban, under-resourced youths through programs with Exploring Roots. You can support those efforts by CLICKING HERE.